Feedback is a passion of mine and is something I am always trying to improve on. This term, I was inspired by a tweet from a UK English teacher @JenJayneWilson who generously shared an example of what she calls a “WIN Grid” to create clear and meaningful feedback to students. The first feedback grid that I created was for the Year 11 Area of Study – Creative Task feedback Grid. I used it, with conferencing, with my students and they loved it. Their strengths were recognised, the feedback was clear and gave them specifics to work on for their next creative task. They all felt that they knew exactly what they, individually, needed to improve on in a far more specific way than a comment at the end of their task and a mark. From that success, I created grids for the Year 7 and Year 8 Term Two tasks – a Letter to Editor Grid and a Year 8 Creative Grid. These were shared with the other teachers, discussed and refined and then used on our corporate marking evening at the end of Term Two. As a response was marked, their strengths and areas for improvement were highlight. This proved to be time efficient for the markers and will be, hopefully, great for the students re how to improve their writing. Creating the GRIDS is, in itself, a very useful exercise as it makes the marker think about what a good response will look like – content, language and construction. This can then feedback to the teaching process just as the discovered areas of weakness will inform future teaching. I will definitely be creating more feedback grids! At the end of Term One, my staff and I are trialled a new way of marking our junior assessment tasks – corporate marking. The aim was to get each year group marked, or at least almost marked, in one day and allow everyone to have more down time over the holidays. I can’t take all the preparation time away, but this will hopefully help! Normally, one teacher, maybe two, would mark the whole year group. As assessment takes place at the end of each term this meant that the teacher would spend a large proportion of their holidays marking. Add this to preparation for the next term and it isn’t much of holiday. Or, if they left it until after the holidays, they then spent multiple nights in the first week or two of the next term trying to get it marked which meant they soon lost the energy recharge from the holiday. Work life balance is important for all of us and as head teacher I have to try and find more efficient ways of working that will benefit all of us. So what did our corporate marking entail? The whole faculty stayed after school on the last Tuesday of term to mark the Year 8, 9 and 10 assessment tasks. There were teams of four for each year group and each group worked together to mark the task. Before they started, they looked at their own classes work and made some preliminary judgements about the response – which band did they think it fitted in according to the marking rubric? In the first half hour or so they shared their As, Bs, Cs etc and worked together to flesh out the marking rubric dot points so that everyone was on the same page with what constituted an A to an E. In the next half hour, they worked in pairs double marking tasks and gaining confidence in their marking judgement. The teams then came back together to re-articulate the differences in the bands and clarified any concerns. Finally, everyone started marking individually. The aim was that each teacher should mark at least 25 responses each per hour (each response is only a max of 2 pages). We kept marking until just after 6:00 and then, thanks to PL funds, we went out to dinner. Dinner out (Thai, if you are curious) with the whole faculty was lovely. It was a chance to connect, laugh and reflect on a very busy term. Other benefits from our corporate marking afternoon/evening included mentoring our early career teachers, building on our collaborative approach as a faculty and even providing evidence for our PDPs and the School Excellence Framework. There was still work to be done in the holidays but nowhere near as much as previously. Classroom teachers still needed to add a comment before tasks were handed back to the students – goals and missions. To assist them, they had the marking feedback from the team to help them formulate their feedback/feedforward. Positively, this also helped teachers develop their learning goals for Term Two. At our faculty meeting on the first day of Term Two, staff reflected on the process and all agreed that we will be doing this again at the end of the term with the Year 7 and 8 tasks. It was decided that markers would actually write some feedback on each task to help guide the class teacher’s feedforward and that the marking leader needs to do quality control (much the same way as is done in HSC Marking) to ensure consistency. Everyone agreed that this approach certainly ensured they came back to school less stressed and that was a key decision about why we did it. I will take all this as a win. My latest passion is vocabulary. It really is the key to improving the quality of our students’ writing and their ability to highlight all they know. Academic English is all about knowing the correct metalanguage, using the technical terms rather than the everyday word. The right vocabulary allows you to show your expertise and increase the power of what you say. This is why it is a key aspect of the NSW K-10 Literacy Continuum but, unfortunately, it is one that many are leaving until later. Teachers are saying that they will get to it after they get a handle on Writing and Comprehension aspects. However, a major key to building their writing and comprehension skills is their vocabulary knowledge! There are so many great sites and tools around to help students (and teachers) build their love of words and hence build their vocabulary. My recent presentation at the Coffs Harbour Teach Meet highlighted some of them (see below). Just remember, spelling lists are NOT vocabulary! Kids will learn them for the test then dump them. To become part of their working vocabulary the words need to be taught, and more importantly, used in CONTEXT. Research suggests that a word has to be used at least 20 times before it becomes part of our vocabulary – how can you ensure that the key terms are used 20 times??? It has to be meaningful and valued if it is to become part of their vocabulary knowledge so make vocabulary part of all your marking rubrics too! Please feel free to share how you are building your students’ vocabulary. Much of 2012 was spent supporting teachers looking for ideas and resources to assist students develop their writing skills. Much of the discussion started in response to analyzing and reflecting on HSC and NAPLAN results but it soon moved on from there. A great stimulus for the discussion came out of the arrival of the K -10 Literacy Continuum. This excellent DEC document identifies the 8 key areas of literacy (reading texts, comprehension, writing, vocabulary, speaking, phonics, phonemics and concepts of print) as well as the 16 clusters/levels of development over time. The Continuum explicitly highlights what the typical student should be able do at a given point of time in each aspect and, as a result, is an incredibly valuable tool for teachers and their students. What was assumed students should be able to do by the end of Stage 2, for example, challenged many teacher assumptions re when to introduce certain aspects of writing such as when to start teaching complex sentences, introduce figurative language or paragraphing. The Continuum got us talking about what we do to support students’ literacy development, when we teach different markers/elements and how does that look in our classrooms. One of the key results of exploring and using the Continuum has been putting the focus was back on what has been getting lost amongst all the other demands placed on teachers – the explicit and systematic teaching of writing at all stages of school. Our obsession with content dominates as students head into Stage 3 and beyond and, as such, we increasingly push explicit teaching of the craft of writing to the side to “get through the content” of our syllabi. My mantra used to be “What is the point of all that content if they cannot express what they know?” I used to stress “less is more” as at least then students can have a chance to explore and express their understanding of the content in a variety of forms and structures and take some ownership (and delight hopefully) of what they have been learning. This ability to express the content that they did cover would translate into far better test results than just hurtling through all the content with little time to contemplate and communicate it. To help that expression of their ideas and understanding I developed structures to explicitly teach the “BIG” picture writing elements – paragraphing and structuring an argument. I worked with students to expand their vocabulary and developed word banks for students to learn.All this is still great but now I realize that I have to go further if my students are truly going to be competent writers who can succeed at school and be prepared for life beyond the exams.We (I) need to allocate far more time to the Craft of Writing and by that I mean the actual structuring of what we write – sentences, punctuation, grammar and spelling. These “basics” are the cornerstone of any student’s writing, persuasive or otherwise, and the further the student goes up the education ladder the less time is currently being spent teaching, honing and stressing the importance of good writing across the curriculum. This situation has also been compounded by the fact that many of today’s teachers were not taught grammar when they were at school thanks to the whole language approach and the belief that we would just “get it” through exposure to good writing. I can tell you I was one of those students and I only learnt grammar thanks to my study of the Italian language. As a result, we often lack the confidence to do more than the basics when it comes to teaching The Craft of Writing. With all this in mind, I spent a lot of Term Four 2012 working with teachers on all aspects of grammar starting at word level and moving up to the whole text level – building up their knowledge so that they can, in turn, more systematically teach the Craft of Writing to their students. I have to tell you that I learnt as much as those that I was working with! Armed with a greater understanding of grammar and the Literacy Continuum K-10 we can better support our students on their road to being capable and confident writers. 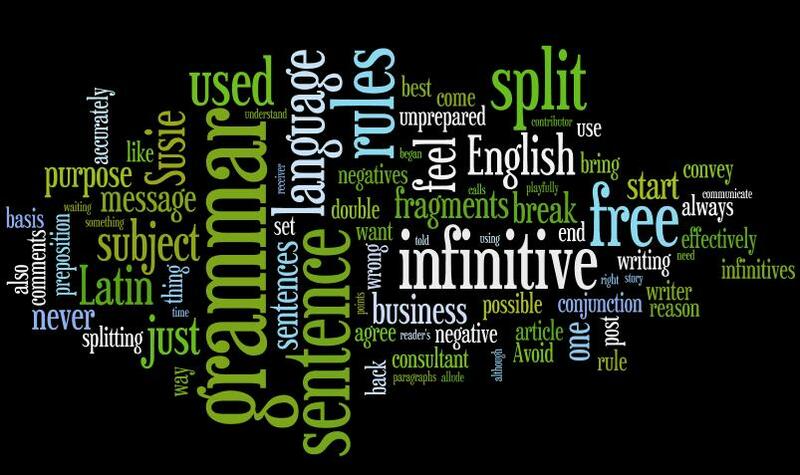 If we spend time every week explicitly teaching students sentence structures, complex grammar and punctuation as well as sophisticated vocabulary we will see students writing improve out of sight. This every day celebration of the Craft of Writing will set up our students for success (even in NAPLAN) far more than a term of swatting up on persuasive techniques or a language revision unit at the start of a year – look at the NAPLAN marking criteria if you want further proof. If we want our students to achieve Band 6 in the HSC (and be set up for success at university) then we need to hone their writing skills as an integral part of every unit rather than an aside just before an assessment task. Just as importantly, we need to stress that the Craft of Writing is as essential to students as the content. The ability to effectively communicate their ideas in a written format to an audience is an essential skill that they can and must work at achieving. Paragraphs do matter, a capital I is important, and sophistication is not writing a long and convoluted sentence. One way to stress that is making it part of every assessment task marking rubric – but only if you have taught what you are looking for. Students need to realise that people will judge them on the way they write and that judgement, rightly or wrongly, will impact on their HSC results in ALL subjects as well as potentially impact on their ability to get a job or even impress someone important to them. So this year as I head back to school I am going to make everyday a day to celebrate and teach the Craft of Writing. I will get them to write every day and I will read and mark everything they write (a point effectively emphasized to me by the amazing Phil Beadle when he was in Coffs). I will also close mark at least one paragraph so I can identify their strengths as well as their weaknesses and then incorporate teaching these into my future lessons so they continue to grow as writers. I will clearly and regularly show them what good writing looks like and why that such writing skills are valuable to them. When you mark a student’s work do you take the time to see if they have used a variety of sentence types, simple, compound and complex, and that they are varying the organization of their sentences to reflect decisions about what is the key message of that sentence? Do you identify sentence fragments and explain how they could be made into complete ideas? Do you look for the cohesive elements that help their ideas flow between sentences and paragraphs – collocation, synonyms, referring pronouns etc? Do you check to see if they are using simple, everyday words rather than more complex vocabulary to express their ideas including nominalisations? Are they using a well-chosen adverb to emphasize a point? Do you check to see if they are using punctuation correctly? 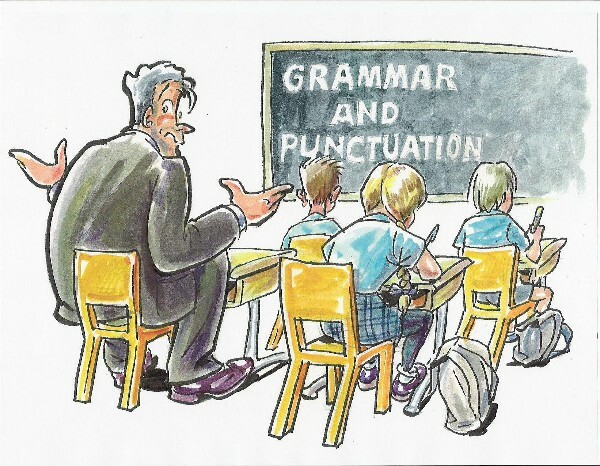 Can your students use more complex punctuation such as semi colons and hyphens? Do you identify common weaknesses in the students’ writing for teaching points in coming days and weeks? Do you include explicit teaching of writing elements in your units or are your programs more content focused or “whole text” focused rather than including literacy development from word level up? Do you have explicit language criteria in your marking rubrics and by that I mean more explicit than “sophisticated” or “sound” use of language appropriate to the task? 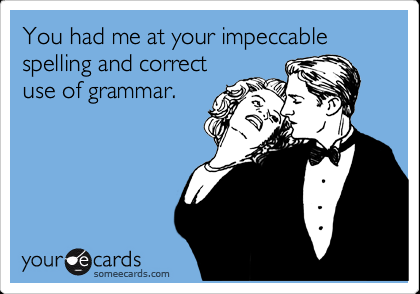 Grammar Girl – a great place to learn all things grammar. Forgive me for it has been almost a year since my last post – my, how time flies when you are having fun! This year, as you will know if you read that last post, I took on the role of Literacy Consultant for the Mid North Coast travelling as far north as Maclean and south to just above Kempsey. I had the absolute pleasure to work with amazing and dedicated teachers, high school and primary, who all welcomed me with open minds in the pursuit of ideas, resources and skills that would allow their students to continue to grow as learners. Truthfully, I know I learnt at least as much as the teachers I was there to support and there were plenty of “ahha” moments during the year when seemingly disparate ideas connected into a “big idea”. The main “educational truth” I learnt in 2012 was the power of talk. Talking is the base for all learning and without allowing learners opportunities to talk through what they know before they start composing a response they can never fully express their understanding. Students need to talk before reading a text or studying a context, while they are reading and studying as well as afterwards. Through talking, and listening, students have a chance to organise their ideas, test out new concepts and vocabulary, share ideas that will extend their own ideas and link what they know to their current world. Talking aids comprehension, writing and engagement – the crucial elements for success at school. For too long, many teachers (including myself) stopped students from talking. “Come on that’s enough talk, get writing, get on with your work” sound familiar? Ever felt guilty that you were so busy talking as a class that you “never got any work done cause all we did was talk”? Ironically, what they were actually doing was work. If you ask students what they remembered most about a lesson, a unit, a year’s worth of learning, they will usually talk about the lesson where you thought they had gotten you off task and the lesson was just a conversation that had been sparked by some seemingly innocent comment. That conversation resonated long after the lesson and supports the power of talk in education. I started to gain new found respect for talk thanks to learning about the “Super 6” Comprehension Skills as part of a project I was working on called Focus on Reading. The Super 6 are Making Connections, Predicting, Visualising, Questioning, Summarising and Monitoring. Two good places to start learning about explicitly teaching students how to comprehend a text are this handout and the website Into The Book. Linda Hoyt’s book Revisit, Reflect, Retell has lots of great activities that are ready to use in primary schools and easily adapted for high school. The one key element that links them all is that they all start with talking things through – with a “thinking partner”, within a small group and with the whole class. Everyone must share (there are no bystanders) and everyone learns the collective knowledge of the group BEFORE they ever put pen to paper. They share ideas, metalanguages, experiences and prior learning. Their talk allows them to collect their ideas and organise their thoughts so that they can write when you ask them to. I have seen the power of talk in classrooms that have embraced the Super 6 and the rich talk that the strategies encourage truly is amazing. Their shift in vocabulary is impressive, the engagement is clear and their understanding of what they are studying is deep as is their writing on that topic – factual as well as imaginative. “Get them talking”, directed talk of course, is now one of my main mantras when working with teachers. Want to improve their writing – get them talking. Want to improve their reading comprehension – get them talking. Want to improve their conceptual understanding – get them talking. Want to improve their results – get them talking. It will be time well spent! This year I am stepping away from the classroom into a role as literacy consultant for the DEC. This is a shift that will see me learn a lot more about the inner workings of regional office (and let’s face it it is a beast we know very little about at the chalk face) and allow me to work with a wide range of schools in my district, both primary and secondary. I am really looking forward to the challenges that this job will throw my way and one of the main ones will be getting my head around the primary experience. The first difference I have noticed so far is the TIME I have to get things done in working hours. I mean for the past 25 years I have spent a large part of every holiday researching, reading, designing and creating engaging and challenging units for my students. At this time of the year, especially as a Head Teacher, I would be: tweaking classes, inducting new staff, organising teams, working through a million demands on my time so that I wouldn’t get time for my own classes until late at night. This year there was very little I could do in the holidays as I had no brief on what I was to do and in my first few days I spent my day reading through files, courses etc waiting for meetings with my bosses to set the year’s directions. I actually didn’t even take my briefcase home – there was no reason to!! Trust me, this has been a very weird and unnerving experience and I have sat on the lounge twitching nervously wondering what to do instead!!! Sad, but true. You can see my literacy blog here. The slow start is set to speed up now that I have my brief and I start creating and presenting courses to schools around the region. So far that will include “Explicit Teaching of Writing”, “Focus on Reading” and “Prioritising Grammar”. I am really looking forward to seeing how these courses work and how I can adapt them to a secondary setting. This relevance to secondary KLAs has been missing previously, in my opinion and in my personal experience, and one of my hopes is that I can engage with secondary schools more and assist KLAs to more explicitly embed the teaching of literacy within their courses – after all, if they want Band 6 responses in the HSC it comes down to how well the students can comprehend what they are reading and how articulately they can express that understanding. Content knowledge will only get them so far – high order literacy skills will get them to the rest of the way. 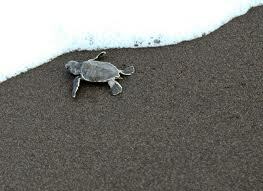 Hopefully, I can go some of the way to ensuring that – that is one of my key hopes for 2012. So week one almost done and dusted. I am remarkably fresh and still pumped about this opportunity to support teachers in my region. The latest stage of my educational journey has well and truly begun and I actually have time to enjoy it. For now, it is a nice change of pace before I leap into the wave of demands that are to sure to dump on me soon. This week we ran a Creative Writing Day for the new Year 12s in the Mid North Coast. We had 200+ students attend and the focus on the day was amazing! We really worked them hard for four hours and they just kept lapping it up. The day consisted of 4 sessions. The first, by Teresa Welsh from the Coffs Harbour Senior College, was on stimulus ideas for belonging. My session using setting symbolically within the narrative was next. Jo Bellette from Dorrigo HS then looked at moving their writing beyond the generic and finally Jon Hart from the Senior College looked at different models for structuring their writing. The presenters did an amazing job and their ideas and strategies really gave students and teachers a brilliant head start into this aspect of the Advanced Course. There was plenty of time for writing and sharing as well as lots of ideas to get them thinking about Belonging. Starting now, we are hoping that both students AND staff give Paper 1, Sect 2 the time and focus it deserves. Over the next few weeks they will hopefully start experimenting with and extending on the snippets of stories they started this week building into full narratives ready to share with others. Over the next couple of terms we are encouraging them to develop several scenarios, characters, settings and values and play with putting them into a variety of structures and purposes/focuses. In this way they will be fully prepared for anything the Paper throws them and have a chance to showcase their skills and confidence as writers. That is the dream and at least this week we have lit the spark. If you are interested i seeing what we presented on the day, please feel free to visit the blog I have established for the group, Mid North Coast Advanced English. This place will hopefully become a place for the students to share their writing, seek feedback and support each other. As well, teachers will add resources to it during the year to extend and challenge the students. I would love feedback from other teachers on how they are tackling this section of the exam. EG. What are other English teachers doing to develop their students creative writing skills? How much time are you spending on this aspect of the course?